Burns are among the most painful and potentially disabling of catastrophic injuries. Victims who suffer burn injuries may face a lengthy and expensive stay in a burn unit, the potential for multiple surgeries, and a significant risk of contracting a serious infection while the skin heals. Permanent disfigurement from scarring is common. Since burn injuries can involve an array of serious medical problems and a long list of treatments, victims often find themselves forced to pay expensive hospital bills. Many also cannot return to work while they recover and missing out on your wages can make financial difficulties even worse. Trying to find your way back to a normal life after a burn injury can be extremely challenging, but a qualified Charlotte burn injury attorney can help lighten your load and give you hope by fighting for just compensation. At Warren & Kallianos, PLLC, our dedicated legal team possesses the skills and knowledge necessary to help you safeguard your future after you have suffered a burn injury. A burn occurs when some part of the body is damaged by energy (heat) or chemicals. Burns are classified by degree and thickness, or the depth of the burn. The depth varies depending on what part of the body is burned and the condition of the person’s skin when the burn occurs. For instance, the skin of the face is thinner than the skin of the legs or back. Children and older adults typically have more delicate skin than working-age adults. First Degree Burns – These burns affect only the outermost layer of skin. The skin may be red and painful, but the burn is dry and typically heals in three to five days. Sometimes, patients are hospitalized for pain management and to replace lost fluids. Second Degree Burns – These burns affect both the top layer of skin (the epidermis) and one or more layers underneath (the dermis). They are pink or red in color and painful. Healing may take two to three weeks. In some cases, a skin graft is required before healing can occur. Third Degree Burns – These burns destroy all layers of the skin and affect the tissues beneath the skin (the subcutaneous tissues). They appear black or white and may be leathery in texture. The third-degree burn itself will not hurt, but areas surrounding it may be intensely painful. Skin grafts are frequently required, and the risk of infection is high. Healing may take months and scarring nearly always occurs. Fourth Degree Burns – These burns extend into the muscle or bone. Amputation of the affected limb may be required to save the patient’s life. Healing takes many months, and permanent impairment is expected. Many of these cases are fatal. Heat sources – Thermal burns are a result of exposure to heat energy. For example, a hot stove or iron, an open flame, an explosion, boiling water, or even full sunlight can result in thermal burns. Chemical exposure – Chemical exposure can lead to chemical burns to the skin or eyes, as well as to internal organs like the esophagus or lungs if a chemical is inhaled or ingested. The type and severity of the burn will depend on the chemical, its concentration, and the exposure. Electrical sources – Electrocution can result in electrical burns. Because these injuries are caused by an electrical current, their treatment can be complicated by other symptoms of electrocution, like heart rhythm disruption or brain damage. Radiation – Radioactive sources can cause radiation burns. Like electrical burns, these can be difficult to treat because they are complicated by other side effects of radiation exposure. Burns in car accidents: Our accident attorneys can thoroughly investigate the cause of your car accident and identify all possible sources of compensation, including benefits that could come from your own policy such as MedPay and uninsured/underinsured motorist (UM/UIM) coverage. Burns at work: If you were burned in a workplace accident, our attorneys can make sure your injury is properly documented and that your workers’ compensation claim is properly filed. You can trust that we will skillfully negotiate with your employer and the insurance company to pursue maximum workers’ compensation benefits for you. We will also explore the potential for a third-party workplace injury claim if your burns were caused by the negligence of someone other than your employer or co-workers. Burns from a dangerous product: When a dangerous or defective product causes a burn injury, our attorneys can identify all the liable parties, which may include the product’s manufacturer, the distributor, the retailer, and any other company in the chain of distribution. We can then work to pursue full and fair compensation for you through a product liability claim. 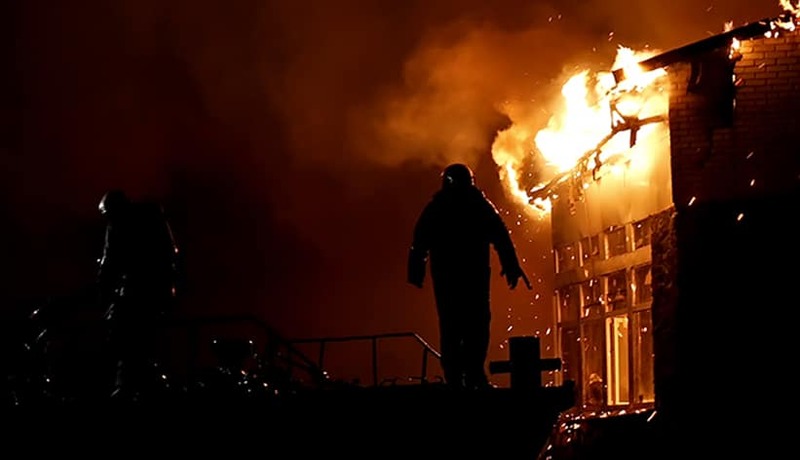 Burns while on someone else’s property: If you were burned in an accident due to unsafe conditions on someone else’s property, our attorneys can help you pursue what’s called a “premises liability” claim to recover compensation for your injuries. In every burn injury case we handle, our attorneys identify all possible at-fault parties and potential sources of compensation. When we sit down for your free case consultation, we will listen as you describe your accident in depth and we will determine how we can pursue maximum compensation for you. You do not need to worry about paying us anything upfront. Our firm does not collect any attorney’s fees unless and until we successfully recover compensation for you. When you are coping with the aftermath of a severe burn injury caused by someone else’s negligence, you shouldn’t have to worry about mounting medical bills, missing days from work, and how your family will stay afloat financially. The law specifies that innocent people should not have to bear the terrible financial burdens of an injury caused by another party’s irresponsible actions. Burn victims can seek damages from the party legally liable, or responsible, for their injury. A person or group might be legally liable if their negligence directly or indirectly caused you to get burned. For example, consider the manufacturer of a faulty stove. If you were burned in a home fire caused by a defective stove top, you might be owed financial compensation from the product’s manufacturer. We can consider a car accident for another example of a burn injury caused by negligence. A drunk driver causes a collision, and a fire starts due to the crash. You may be able to recover damages from that negligent driver. If you were injured at work, you might be legally entitled to benefits even without showing someone did something wrong to cause the accident. Workers’ compensation laws offer a broad range of protections for those hurt on the job. Whatever the cause of your burn injury, you could benefit greatly from speaking with a skilled legal professional. At Warren & Kallianos, our attorneys identify all potentially at-fault parties and potential sources of compensation for every burn case we handle. Do I Need an Attorney after a Serious Burn Injury? Payment for all related medical bills, including those that you may incur in the future. Lost wages and your diminished earning capacity. Compensation for the pain, suffering, and emotional distress you have suffered due to the injury. Punitive damages, which are meant to punish the at-fault party for exceptional misconduct. Why Pick Warren & Kallianos? $4,000,000 burn injury settlement for a client who suffered catastrophic burn injuries from an arc flash explosion while working on an electrical panel. $1,500,000 burn injury settlement for a client who suffered severe burns while erecting a light pole that came into contact with an energized power line. $1,000,000 burn injury settlement for a client who suffered burn injuries during a stay in the hospital. We show our commitment to our clients by offering our services on a contingency basis. Our firm does not collect any attorney’s fees unless and until we successfully recover compensation for you. You do not need to worry about paying us anything upfront, and we offer a free initial consultation. A burn injury can leave you in physical pain and financial distress. Attorneys Chris Kallianos and Jeff Warren want to take some of the stress off your shoulders by aggressively pursuing compensation on your behalf. We have secured millions of dollars in compensation for burn victims, and as such have been selected as members of the Million Dollar Advocates Forum. Our clients can also be confident in the fact that our respected legal skills have earned us recognition as the Best Lawyers in America, Super Lawyers, and the Top 100 Trial Lawyers. Schedule a free consultation with us today, and our burn injury attorneys can get to work right away on determining the cause of your accident, who should be held accountable, and what types of compensation you should receive. We will investigate your case thoroughly, build a strong claim for compensation, and fight for a full and fair settlement offer or verdict. Call 704-275-5593 or contact us today to learn more about our services and schedule a free consultation with our experienced burn injury attorneys.